The Citrus is one of the premier country clubs in the desert. 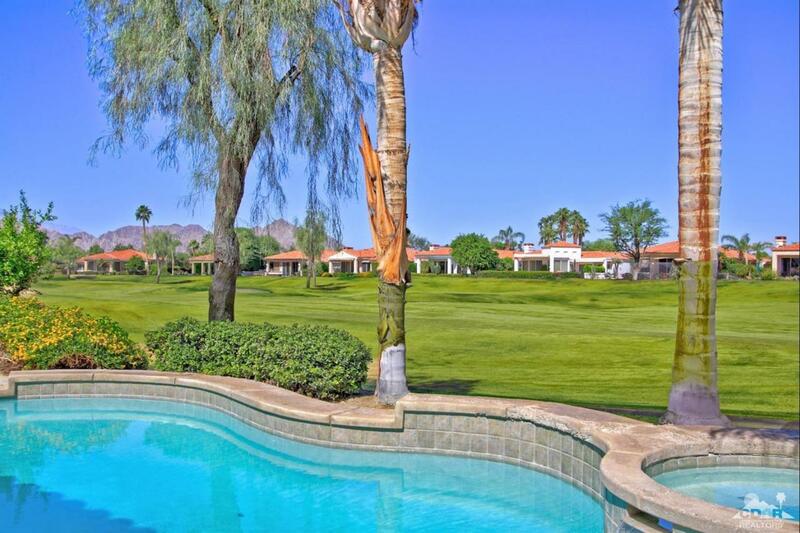 Gorgeous mountain and golf views, world-class amenities and the best of the La Quinta experience. This beautifully maintained 3 bedroom, 3.5 bath home sits on an elevated lot overlooking the picturesque 12th fairway of the Pete Dye designed course and offers all that and more! Granite counters, tile floors, fireplaces in the great room AND the master suite. There are two en-suite guest rooms and an inviting entry courtyard that, by itself, is a tempting place to relax. There is a sparkling pool and spa with stunning fairway views. Add to this a VERY attractive price and you have the complete package. The Citrus Club at La Quinta Resort also has VERY attractive membership plans that allow access to all that the world famous La Quinta Resort has to offer and can even include ALL of the PGA West courses for a total of 9 championship venues for ONE price! Come check this one out and your search will end here! Listing provided courtesy of Randy Smith of Homesmart Professionals.